Which frequent flyer card to use? I am new to these programs, and my flight is always the Athens-Munich ale re tour, with a Lufthansa flight (booked via the Lufthansa website). I fly on the economy class, with my hand luggage only. I have a Miles & Bonus (Aegean) and a Miles & More (Lufthansa) frequent flyer card, both on the basic tier (I didn't have any upgrade). Which card should I use in order to maximize the miles I earn? 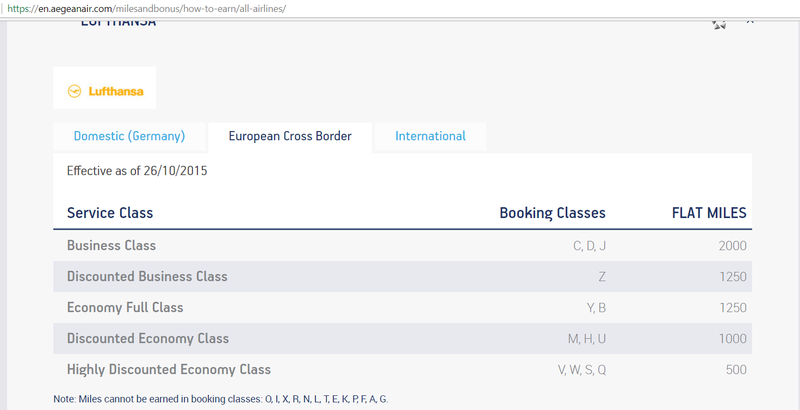 Edit: I am only interested in using these miles to book my next ATH-MUC flight with Lufthansa, via Lufthansa website. For Lufthansa, as @jcaron said, you earn 4 miles per euro (src). Considering the miles you get from a single flight is the same with both cards, either cards will maximize the number of miles you get for that one flight. When you get a more advanced tier level, some programs have a multiplier which makes a difference, for example getting 1.25 miles for each mile flown, instead of 1. The main point is not maximizing the number of miles for a flight but maximizing your balance so that you get to a reward level before the points expire. In that case, you should use the card for which you have the most points with already. Unless you fly truly a lot, the best advice is to keep only one program active per alliance since that will make you reach an award level faster. Not the answer you're looking for? Browse other questions tagged europe loyalty-programs lufthansa miles-and-more aegean-airlines or ask your own question. Which is the best frequent flyer program to join? How do family members earn points in Qantas Frequent Flyer? Which frequent flyer programs allow pooling of status credits? Is it possible to use one frequent flyer program for status and another for earnings? What are frequent flyer awards? Get frequent flyer credit for flights involving another person?